Interruptions to drilling and recent wet weather have adversely affected the vining pea crop as harvest gets underway. Stemgold Peas operations manager Ian Watson began harvesting 1,600 hectares (4,000 acres) on July 5 and expects yields to be down 15% on last year. “We’re harvesting at about the normal time. Quality is reasonably ok but we’ve had variable rainfall which has had an effect on later crops. We expect average to below season yields. Green Pea company grows 10,000ha (25,000 acres) of vining peas for Bird’s Eye. 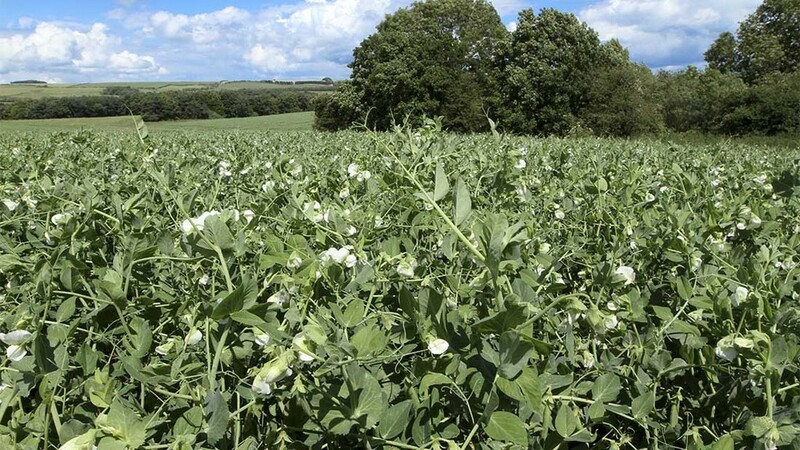 “Just like a lot of sectors there is continual pressure from the retail market to become more efficient – they want the same quality pea for less cost,” adds Mr Caley. Recent rainfall is proving challenging for Stephen Francis, managing director of Fen Peas, who began harvesting 2,240ha (5,600 acres) in Lincolnshire on June 26. “There are real challenges in terms of travelling and there are also issues with foot rot because of too much rain. #GreatBritishPeaWeek - How much do you know about the humble pea? Previous Article Will farmers' voices be heard in the Brexit negotiations?